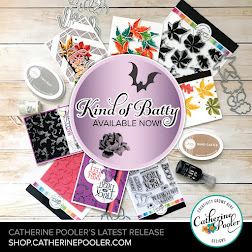 Papercrafting is definitely my #1 hobby! My very first love. But there are other things I enjoy as well. One of them is reading. I was recently looking at my bookmark, a beat up note my husband left for me when he went to a four day conference two years age. It has seen better days! I decided it was time for me to make myself a bookmark, of course I'll save my note from Doug, but it is definitely time for something new. 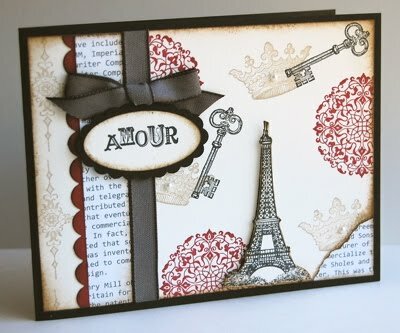 I thought the the Artistic Etchings stamp set was perfect for my project. 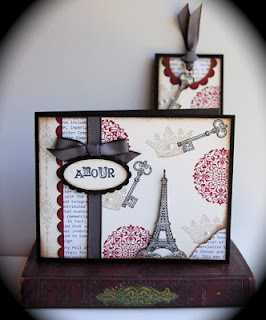 For me, books are an escape from reality, they take you to places unknown...kind of like this stamp set. I started with a 2 x 5 3/4 piece of Very Vanilla Cardstock. I placed a small strip of First Edition dsp on the bottom and then did some collage stamping using Basic Black, Cherry Cobbler & Crumb Cake ink. 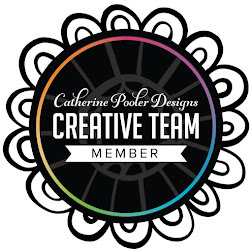 Next, I punched (2) 1 3/8 circles of First Edition dsp & (2) Cherry Cobbler Scallop Circles. Using Soft Suede ink, I sponged all edges of the bookmark and adhered the 2 scallops to the bookmark. I matted the bookmark on a piece of 2 1/4 x 6 inch piece of Basic Black card stock. I finished it off with some ribbon & pearls and attached a trimmed & distressed key. 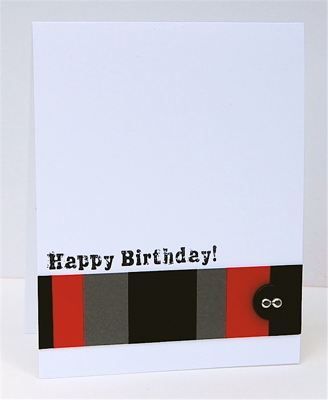 Once I finished the bookmark I thought I'd make a card to go along with it! Although I actually made the bookmark for myself, I thought this would make a great set to give along with a book for a friend who is traveling, a student studying abroad or an avid reader! I hope you liked this little set & feel inspired to go and create your own set! I've been on a Color Blocking kick lately, I am loving the clean and graphic look! Today I am sharing a scrapbook layout I made with color blocking in mind. With only a few supplies, this came together quite quickly. 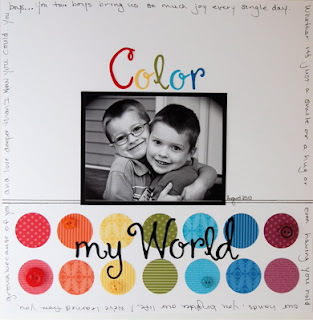 This layout is also my sample for the newest challenge at StampNation, which is to make a card, project or layout using, you, you guessed it... Color Blocking. I have two other samples posted there, along with some sketches. Why don't you join us?!!! I hope you've been enjoying your weekend! 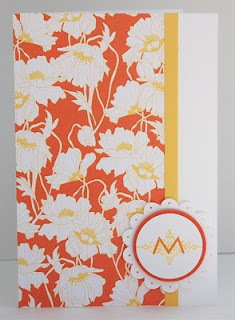 Today I have an Outlawz CAS Challenge for you...use bright orange & bright yellow to make a happy card :) I have to admit, I was a bit frighten by this one. Orange is probably my least favorite color to paper craft with! Luckily I had some of the beautiful SU! Beyond the Garden dsp!!! That made putting this card together a snap. 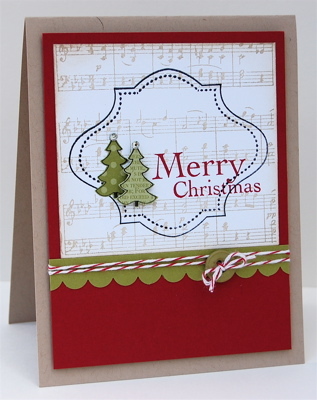 I'm so excited that my Christmas card stash is growing, maybe this year I'll actually send them out on time :) I made this card for the Ippity Challenge: Paper Piecing. I stamped those cute little trees on some Old Olive dsp and topped them off with some little Basic Rhinestones. Aren't they adorable!?! Here I go again...challenging myself. 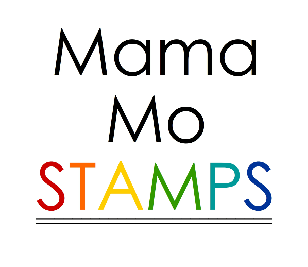 This time I wanted to see how many stamp sets I could use on one card, 4!! 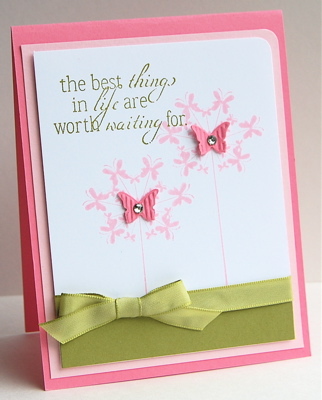 I used: Fabulous Florets, Fabulous Phrases, Four Frames and Strength & Hope, all on this very CAS card, woohoo!!!! 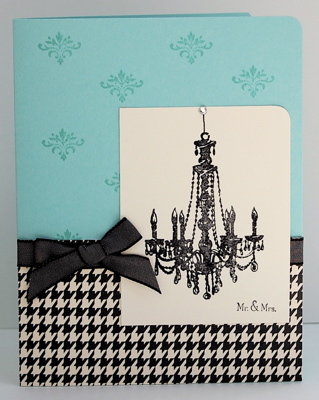 I love how the bright colors pop off of this black & white card. Want to join me? See how many stamp sets you can use on one card. Link it in my comments, I'd love to see it! Hi there! I hope you've had a great start to your week! Today is catch-up day for me...cleaning, laundry, appt's...seems I need to set some time aside for these things while the kiddos are home for the summer! Keeping it short and sweet today. Enjoy! 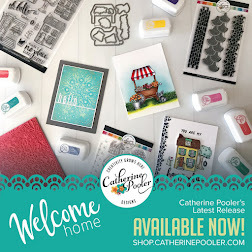 I used an old stamp (the chandelier), a new-to-me stamp (Tiny Tags - background & sentiment) and my favorite new in color, Pool Party!!! Why don't you head over & join us. 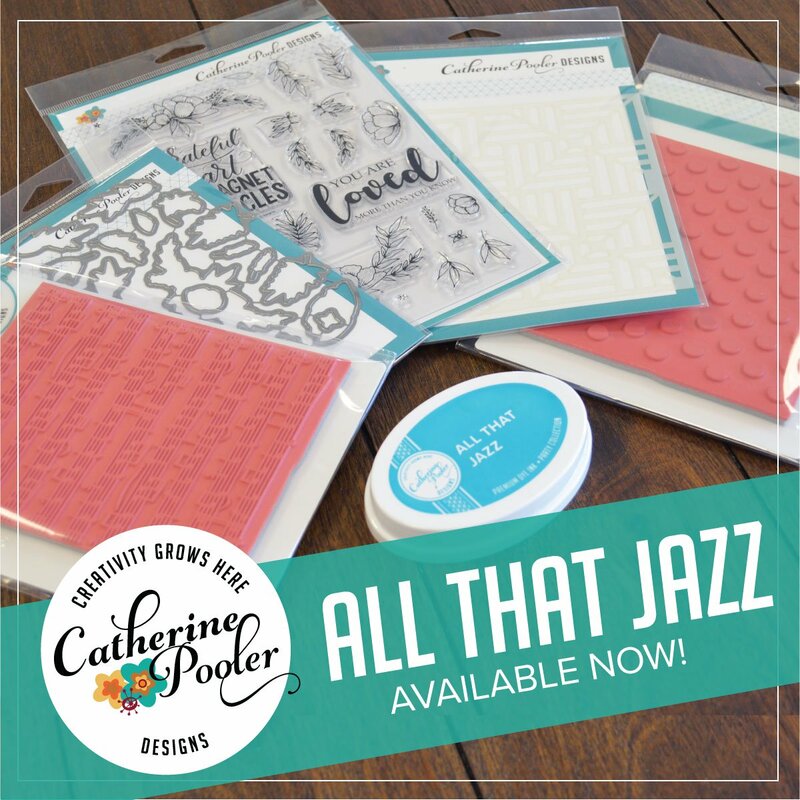 The rest of the DT made fabulous samples that are sure to get your mojo flowing this morning! At StampNation I've just added a new thread on Color Blocking. 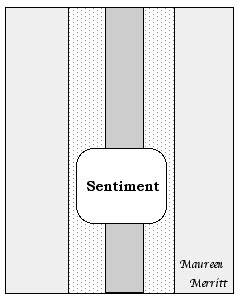 Color Blocking is a technique that involves placing colored blocks next to each other to make a cohesive design. 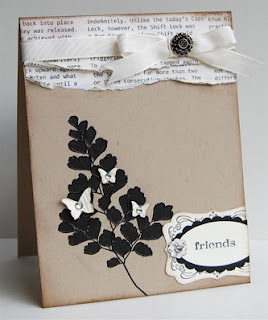 It's a great way to use up your scraps or to highlight a line of patterned papers. A Clean & Graphic masculine card! I love this simple layout, especially for a man! I added two silver brads to embellish a black button and I think it kind of looks like a tire, doesn't it? 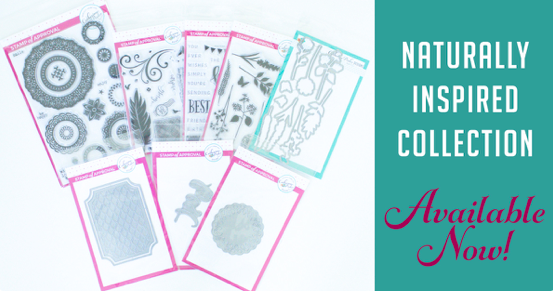 For another sample and two sketches specifically designed for Color Blocking, join us at StampNation where you will find a wealth of information, ideas and motivation in a community designed exclusively for passionate papercrafters world-wide! Hope to see you there! Today I have a card for The Outlawz Color Challenge. I'm part of the CAS team, but I like to play along in the other challenges as well. Since there is a new challenge post daily, it's easy to find inspiration there! 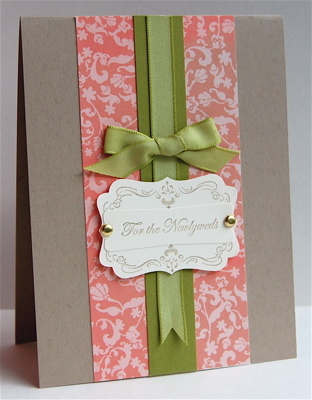 The colors: Green, Coral & Kraft with a gold accent. It reminded me of an island wedding, so I made a wedding card! I paired a piece of Paisley Petals dsp with some Old Olive cardstock & ribbon (retired-I haven't updated my ribbon selection yet). Then, using Crumb Cake Ink, I stamped the frame from the Four Frames set and punched it out using my Decorative Label Punch. 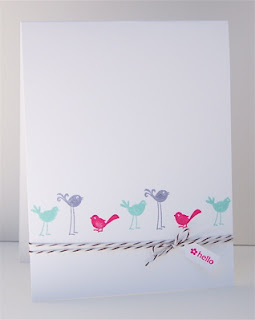 Next I stamped my sentiment from Teeny Tiny Wishes and punched that out using the Modern Label Punch. I layered the two together and added some gold brads! 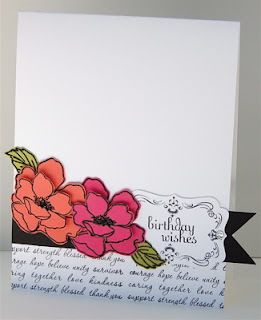 I'm loving this layout, change up the papers & sentiment and it can be used for any occasion! Here's a simple sketch based on my card, in case you'd like to use it too! I'll be using it again. I foresee simple and elegant Christmas cards getting done in a snap using this sketch! 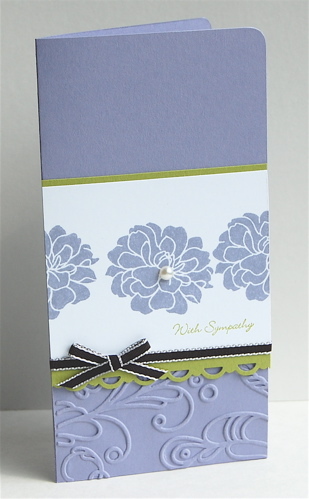 Sympathy cards are by far the hardest to make. 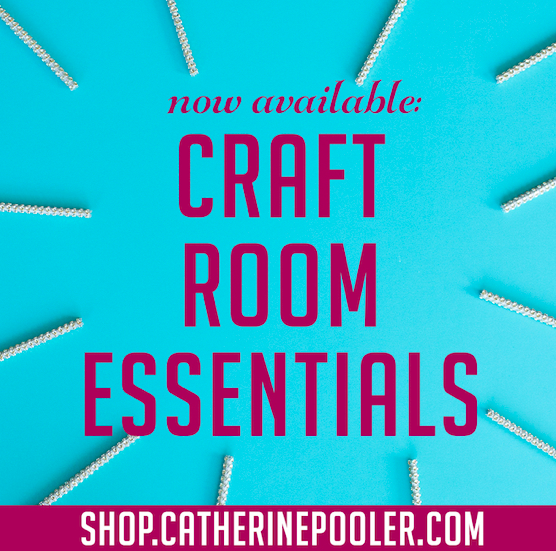 I like to make them every once in a while so that when or if I need one, I have it on hand. I try to keep it simple with bright colors, something to cheer the recipient!!! 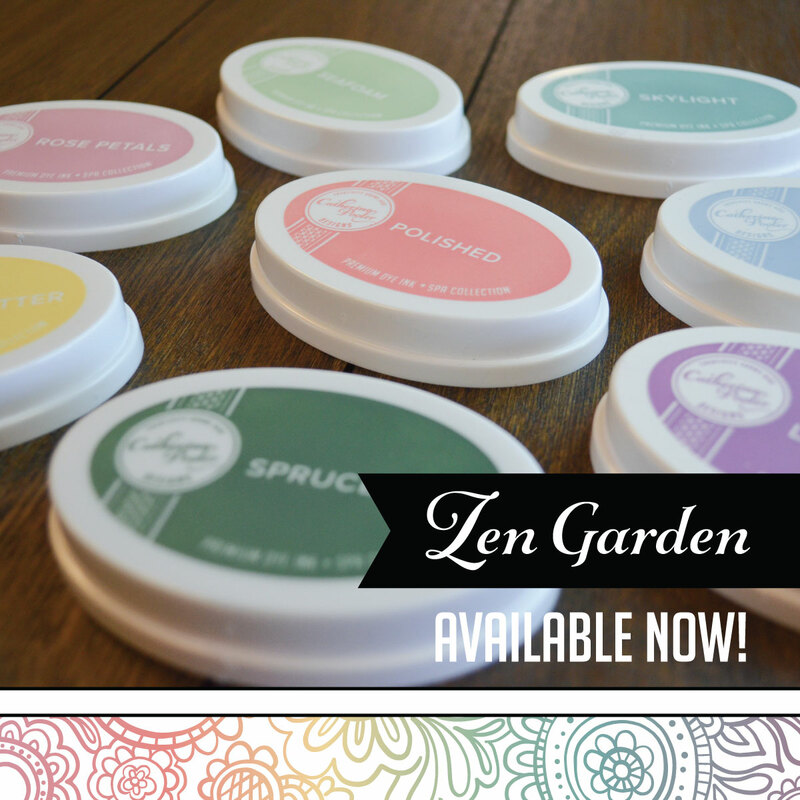 I used the new in colors, Wisteria Wonder & Lucky Limeade. Aren't they pretty together?! I'm not usually one to use shades of purple but I am loving Wisteria Wonder! 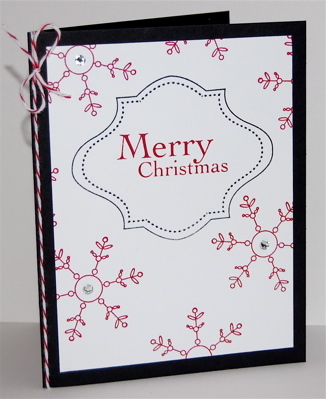 I did some simple stamping using Fabulous Florets & Teeny Tiny Wishes, added an embossed layer (Elegant Lines) on the bottom and added some ribbon & a pearl. Simple, yet elegant and special! TFL! This was the first Ippity stamp set I ever purchased. Not that I have a huge collection, but I do have a few from my friend & fellow Outlawz DT member (and Ippity Chick) Rona Mallard. I think the thing about Ippity that I always find so striking are the sentiments. 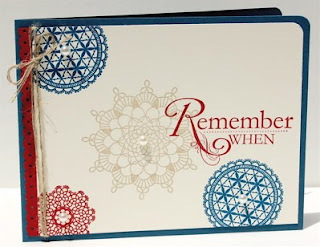 They are so heartfelt, with fabulous fonts! 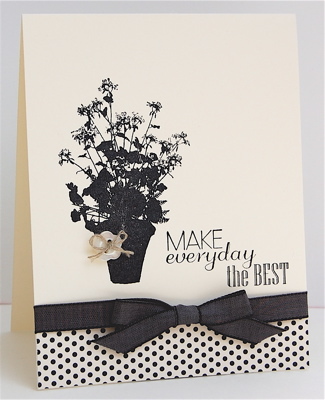 This weeks Ippity challenge is to use your favorite Ippity sentiment and this is one of mine: "Make everyday the BEST". I was in a bit of a "mood" while I was making this card and as I stamped the sentiment, I started thinking about its meaning. It honestly helped lift me out of my funk!!! Love, LOVE, Ippity sentiments! 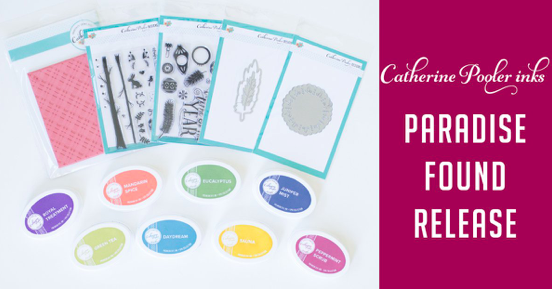 There is a huge party going on in the CAS Challenges thread at Splitcoaststampers! DT members past and present put together challenges for the 4th of July, 2 every hour!!! Wow!!! I hosted challenge #16- "Things that Fly on the 4th of July" and co-hosted Challenge #20- "In honor of the 4th of July, use four of something on your card." 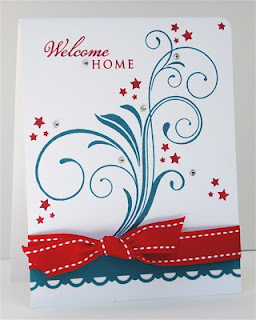 The card above is my sample for Challenge #20. I used Delicate Doilies & Word Play to make this Americana themed card with 4 doilies & 4 pearls! ***This is my second post today, scroll down for my first Christmas in July post. In honor of the 4th of July here in the USA, the CAS Challenge at The Outlawz is to use stars or stripes. I went patriotic on my card :) God Bless the USA, to those who faught for our independence and for those that protect us each and every day!!! Yup, you heard me right! It's Christmas in July here on my blog :) Many challenge sites will be celebrating Christmas in July so I thought I'd dust off some winter sets and jump in. Last year I swore that I'd only make Christmas cards for close family, but I think I say that every year. It is always more fun when you have months and months to get them done. No matter how early I start, I'm always running behind!!! I think my 2010 Christmas cards went out on New Year's Eve! No promises this year, I'm just going to have fun with it!! !